This past Saturday was our annual Third Annual Spring Clean. 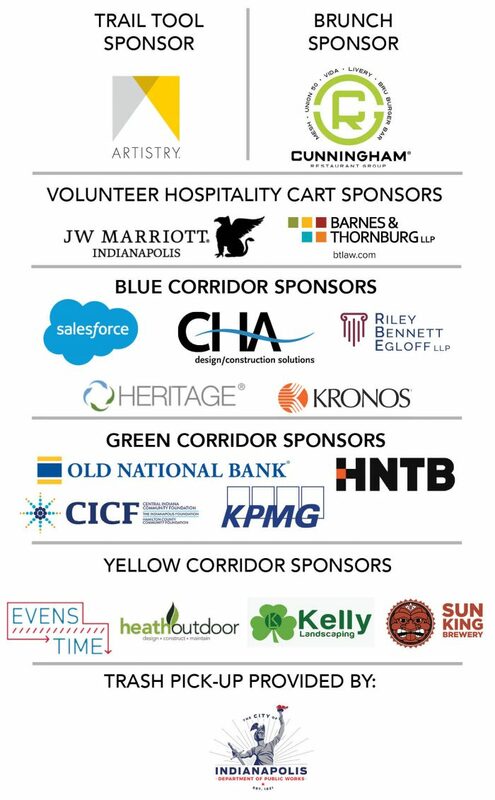 It was a beautiful, sunny morning and our 18 sponsor organizations brought their volunteers to deep clean the Cultural Trail and get rid of the winter grime. If you were out around then you probably noticed the 160 volunteers on the Trail scrubbing signs, sweeping crosswalks, and removing cigarette butts. They worked hard for two hours (with a coffee and donut break!) and now we all get to enjoy the fruits of their labor! They collected 57 trash bags, 35 buckets, and 5 wheelbarrows full of trash! The Trail looks squeaky clean! After the winter months, there tend to be a few odd items here and there on the Trail that are kept secret by the snow. While the volunteers were hard at work giving the Trail a makeover, they uncovered these hidden “gems”: pink fingernail, car parts, brake pad, bike chain, half of a fake dollar bill, a water bottle full of sunflower seeds, cds, and more! Our award winner for weirdest thing found went to Heritage for the hot pink fingernail! See below for the rest of our winners. We can’t thank our volunteers enough for all of their hard work! The Trail looks oh so beautiful because of them! 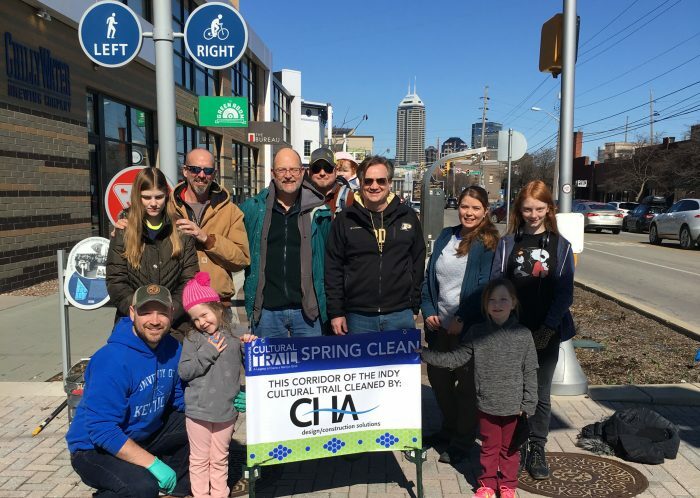 Check out photos from the 2019 Spring Clean.